We just bought a new place! There’s a lot of work that needs to be done in the place, but the main things to do before we can move in are painting, new flooring on the first floor and a new kitchen. We hired some painters to do the painting. 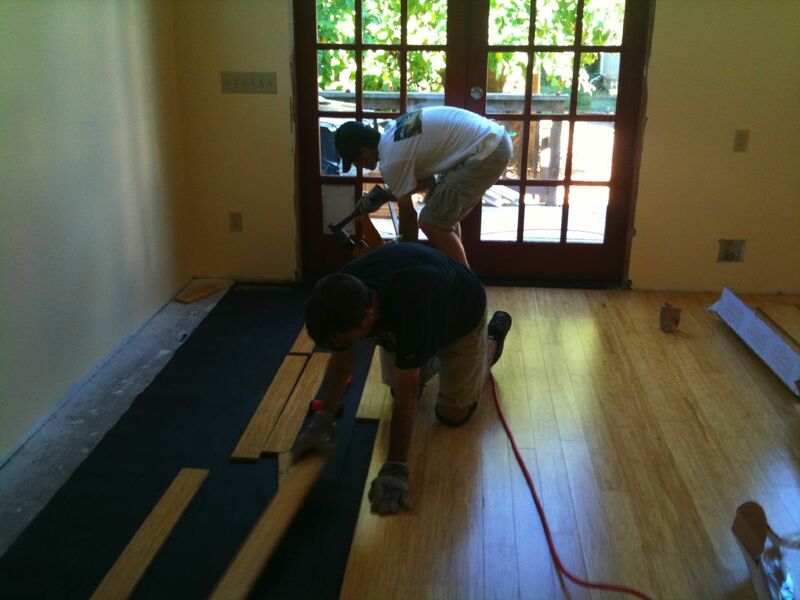 Chris wanted to do the flooring so we bought 53 boxes of strand bamboo flooring (super durable) from Lumber Liquidators (at 50 lbs each, Chris had to carry each box into the house) and rented a floor nailer from the tool/party rental place.